Tomorrow is opening night at The Grand Old Theatre and Mastermime, a notorious criminal who distracts audiences with entrancing mime routines and then disappears with their valuables, has defaced the theatre marquee and is terrorizing the stagehands. Will hard-boiled detective Stanton Ovation and his earnest sidekick Deputy Hammet Upp capture this mute but expressive villain before he steals self-absorbed celebrity actress Ima Starr’s diamonds? Or is there more to this case than it seems? Ima’s talkative assistant Roberta, who was a forensic scientist before entering the glamorous world of show biz, offers tips to the investigators while Ima’s super-fan Shirley Ujest, who watches a lot of TV with the sound off, translates for the mime. The mystery unfolds, punctuated with theatrical cell phone ringtones, love-at-first sight encounters, and a dramatic mime battle! This show is an over-the-top mystery melodrama that celebrates the fascinating art of pantomime. Appropriate for teen to adult performers. About 30 minutes. A: A skit created by some of my middle school theatre students inspired this play. It was about a mime and his protégé who committed crimes together. 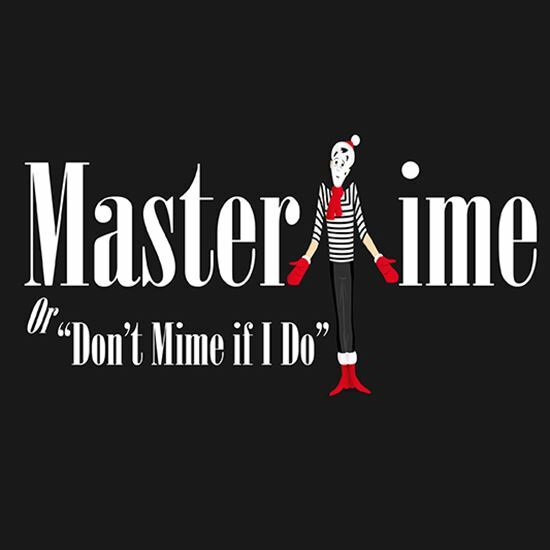 I thought, “Cool, he’s a criminal “mastermime!” I loved that name and began brainstorming ideas about exactly what such a character might do. Once I began writing, I quickly realized that the concept was so over-the-top that the play fit perfectly into the style of melodrama. A: I wrote this play for a group of middle school students to compete in the Massachusetts Middle School Theatre Festival. They won a gold medal for their performance! The characters are not based on these students, but they were tailored to give everyone an interesting role to perform. A: This play was written as a fun, fresh take on the classic melodrama. Because it was crafted for a competition, the characters are well developed and the relationships between them are strong. A: I’m honored every time one of my plays is produced through Eldridge and I strive to provide material that is fun to perform and to watch. If you are directing or performing in one of my plays, please feel free to reach out to me with questions or comments. Thanks so much!